From left to right, Patricia Savi, Pam Foley, Jay Leno, Richie Zapta, Doug Norman. 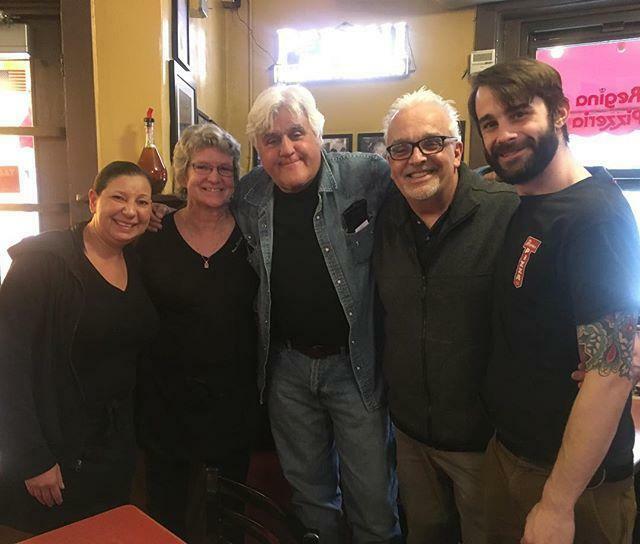 Former “Tonight Show” host Jay Leno stopped by the North End Regina Pizzeria Thursday afternoon. The Andover native grabbed a few slices and posed for photos with restaurant staff members, including server Patricia Savi, server Pam Foley, general manager Richie Zapata, and bartender Doug Norman.